If you’re in San Francisco, check out SPWS weather interpreter Tim Dye’s new project ‘Street Sensing: seeing tiny particles’, on Saturday, October 20 as part of a tech-art event in San Francisco at the Urban Prototyping exhibition. ‘Street Sensing: seeing tiny particles’ will use AirCasting to crowd source air quality measurements collected by citizens. Attendees will have a chance to check out an AirCasting Air Monitor, LED Vest, and Android phone and troll the streets of downtown SF sensing tiny particles. Read more about the project and event here http://sf.urbanprototyping.org/projects/street-sensing-seeing-tiny-particles/. 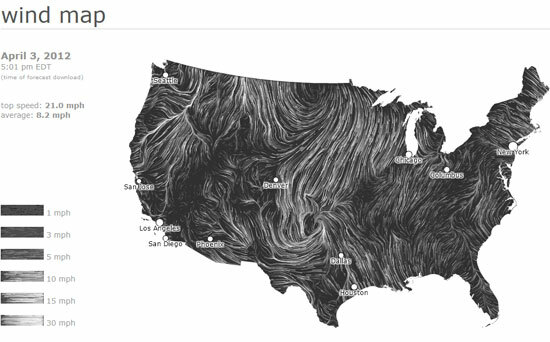 Visualization experts Fernanda Viégas and Martin Wattenberg impress again with their Wind Map project. Richard Garrison, December 2008 SPWS weather interpreter, is exhibiting new works at RHV gallery in Brooklyn April 12 through May 20, 2012. From the press release: Richard Garrison analyzes ubiquitous materials and objects from the suburban American landscape, such as Sunday newspaper sale circulars, drive-thru window menu color schemes and product packaging. 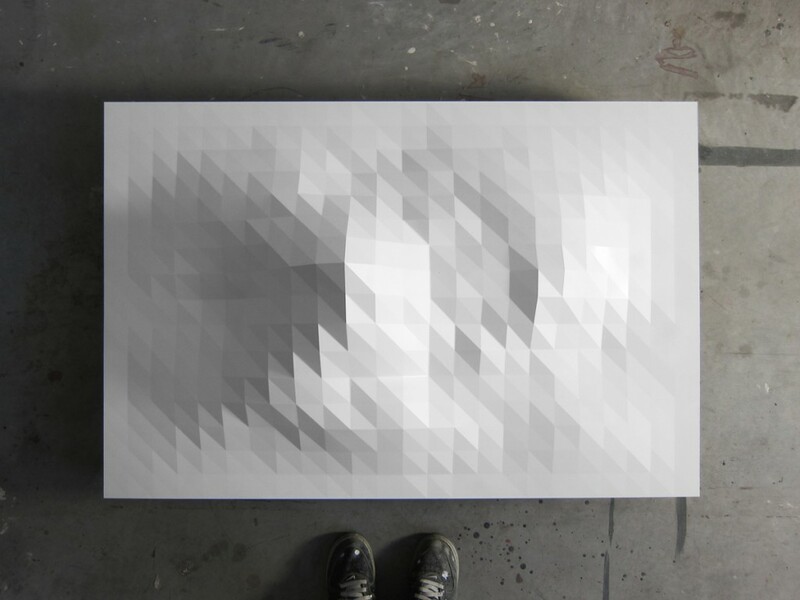 Through a process of careful scientific-like scrutiny Garrison dissects and restructures the color schemes of common everyday objects and creates Minimalist compositions that expose the beauty in the banal. This deconstruction of quotidian objects and experience is a personal, non-judgmental, examination of the visual, emotional and conceptual aspects of consumerism.